Over the last six years a destructive financial crisis has struck Greece, dismantling an already wrecked social balance and driving the population into a state of collective depression. A condition of stagnation is ruling the capital city of Athens. 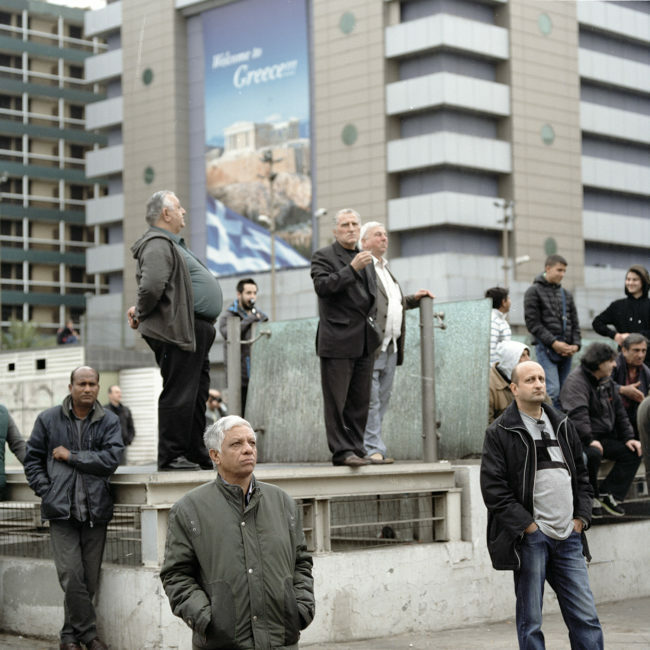 The project Parallel Crisis is a creative document that addresses the ways in which the Medium of Photography is capable of describing this socio-economical event. An uneasy affinity develops between the property of photography to produce events of immobilised time and the negation of social time that widespread crisis instigates. 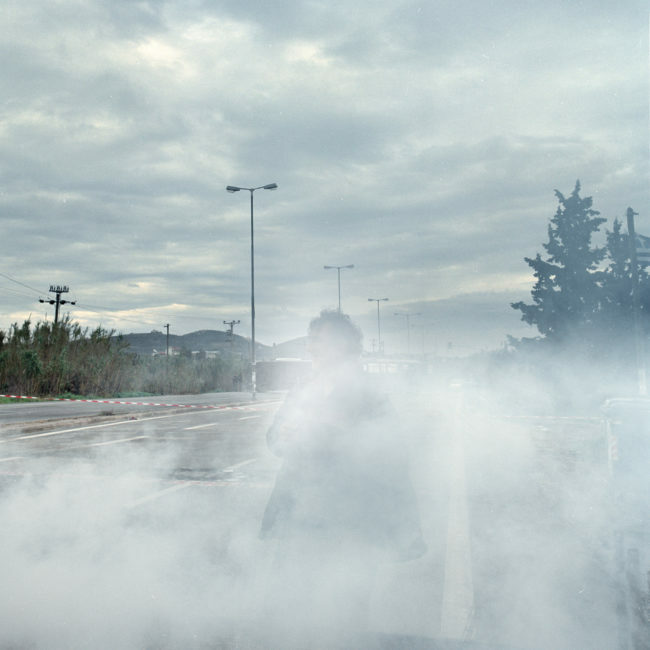 What photography is really recording in Greece, is a certain condition of numbness: subjects without the possibility of development, crippling unemployment, confined migrants, neighbourhoods reigned by silence and fear. In these conditions, the Medium suspends time that has already been stalled. Photography itself is conceived as a metaphor, a mirror of the financial crisis. Info: Photographic Museum of Humanity – Which Europe? The terrorist attacks in Paris were the starting point for Valentina Abenavoli’s Anaesthesia, a series that helps us experience what violence and evil are, with the author questioning the empathy and grief we experience as humans. The black and white pictures of Federico Clavarino are nothing but imprints of the collective conscience of our society – an invitation to embark on a trip across the continent, looking for traces of the ideas which have designed current Europe since the end of the Second World War. Which Europe is not intended to be followed as a guide of the continent’s recent past. Instead, this exhibition is a compendium of the issues, traumas, and stories which should invite us to think about what is taken for granted. Which Europe invites the public to reflect upon the current state of affairs, and ask which Europe has it been so far, and in which Europe are you hoping to live in.